The European Day of Languages is 26th September, as proclaimed by the Council of Europe, at the end of the European Year of Languages (2001). Its aim is to encourage language learning across Europe. Throughout Europe, 800 million Europeans represented in the Council of Europe’s 47 member states are encouraged to learn more languages, at any age, in and out of school. The Council of Europe believes that linguistic diversity is a tool for achieving greater intercultural understanding and is a key element in the rich cultural heritage of Europe. Encouraging lifelong language learning in and out of school. 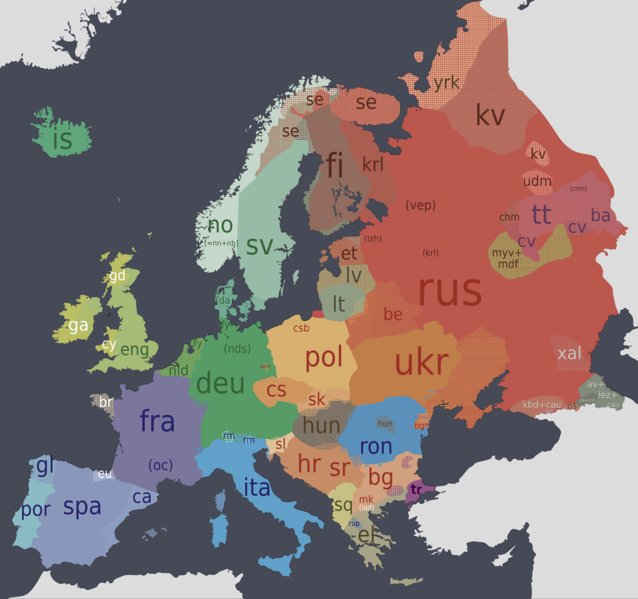 Europe is home to more than 220 languages! With globalization, citizens increasingly need foreign language skills to work effectively throughout the world. English is important but perhaps no longer enough. On the occasion of the day, a range of events are organized across Europe, including those for children, television and radio programmes, language classes, and conferences. There are online events and offers as well, which take place on the web! The EDL website hosts many online games to test your language knowledge and skills. The highlight events of 2012 included Lyrics and Rap Competition, Speak Dating, Language Exchange, Talking Online Avatars, Live Flags, Online courses, and more! CultureAlley is offering its Spanish course for free on the EDL website: Check out the details here! So are you all ready to venture into learning a new language? Explore the linguist within you!